The long-haul low-cost airline Norwegian is up for sale and the interest seems intense, the latest airline in contact about a take over is the German carrier, Lufthansa. “Takeovers are always a question of strategic value, the price and anti-trust. There are no easy answers.” Spohr said, however, the Norwegian route network would greatly enhance the Lufthansa offering and therefore would be a very valuable strategic acquisition. The Chief Executive of Norwegian, Bjoern Kjos confirmed that Lufthansa has been in touch with the carriers sales advisors, he also said he had personally exchanged text messages with Lufthansa’s boss. 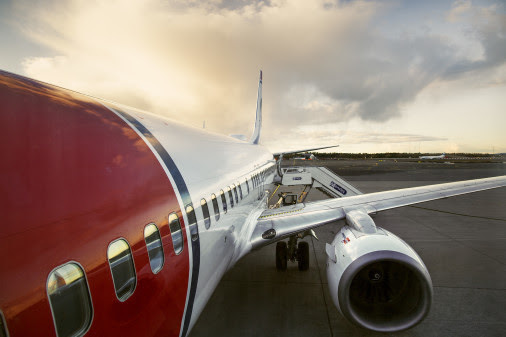 Kjos also said he believed it was “a bit too early” to sell the airline, however, that is not the view of the board who are keen to explore the sales option. Norwegian recently engaged in preliminary talks with the Irish low-cost, high-fee airline Ryanair but indications are that the Irish budget carrier does not want to spend the kind of money that Norwegian thinks its worth. In April British Airways owner IAG put in two bids for a take over following it secretly buying up nearly 5% of the long-haul low-cost carrier. Both bids came out of the blue for Norwegian and were dismissed rapidly as being too low. IAG is understood to be in the process of making a third and final bid for the company next month, following further discreet share purchases. Contacts at EasyJet say they had been approached by Norwegian's advisors regarding a possible merger or take-over, but are not really interested in taking over the carrier as it stands currently. Other possible interested parties are said to include a carrier from the Far East, a Gulf airline and a European group.